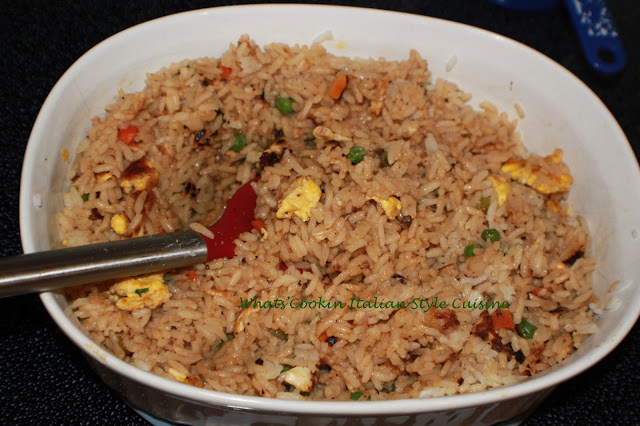 Here is an easy delicious side dish, plain stir fried rice. Asian style. The taste is amazing and it's an easy recipe to make. If you are vegetarian or love a good stir fried rice but hate to cook, this is the recipe for you. 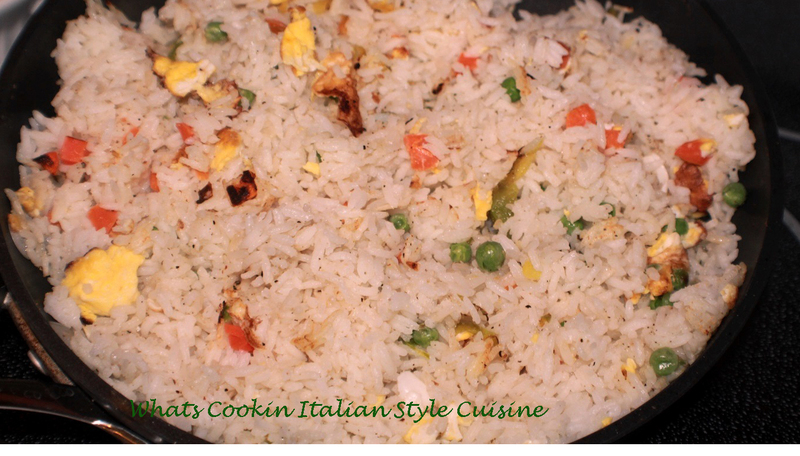 Of course you can adapt it and add whatever you like, but this is a basic plain stir fried rice and made in minutes! It starts off using instant style rice and some quick additions to make a great side dish. Basic ingredients with a big flavor! In a large fry pan melt butter. Add garlic and egg stir until completely cooked. Add rice saute until rice is browned around 10 minutes flipping rice to brown on both side. Add the vegetable mixture. Continue to cook until browned rice. Remove from heat mix the soy sauce and water together add to the pan and stir. If using meat just put that in last to reheat! Serve. We always have leftover rice when I make it for dinner. Thanks for reminding of this marvelous Asian recipe---you can add almost any veggie to it and it would be delicious! !